Headway’s Liz Mullarney just recently finished sending out the third wave of Brainboxes - to over 120 of our new Circle members! Brainboxes are one of the ways we aim to help Circle members throughout their recovery process by reminding them that they are not alone on this difficult journey. As feelings of loneliness and isolation are prevalent when dealing with PCS, we always look to reach out to our Circle members in as many ways as we can. 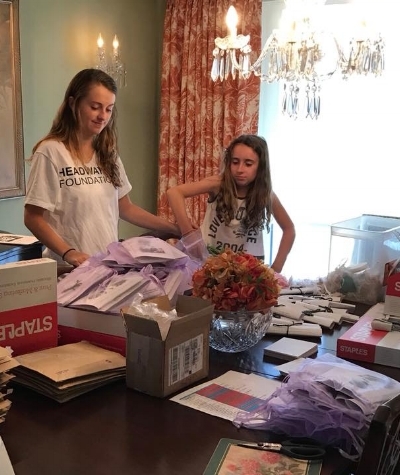 This round of boxes includes a handwritten note from the Headway team, earplugs, recovery tips, a list of concussion-friendly activities, a book designed to cheer them up throughout the day, and a variety of brain-health recipes put together by Headway's Addie Bydalek- a certified nutritionist. Our recovery tips can also be found on our website here.